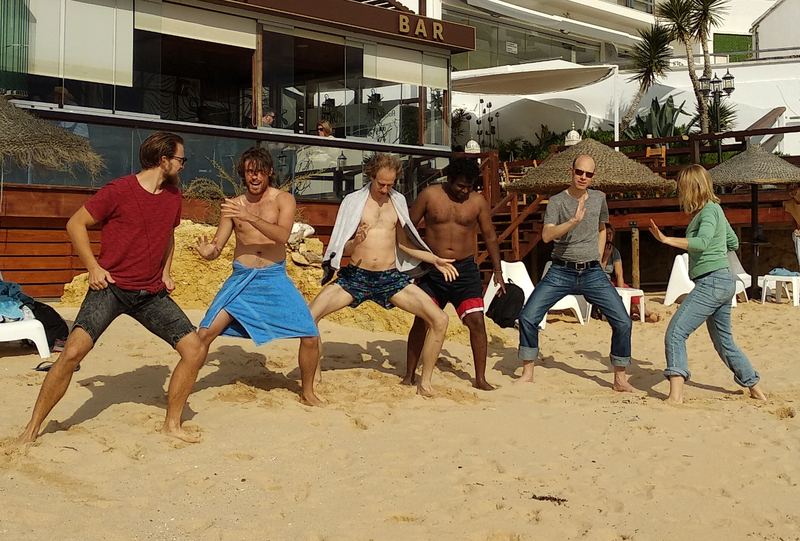 In this picture we are practicing the horse stance, warming up a bit after swimming in the cool cool ocean. Those who are familiar with the Wim Hof method may recognize his style of movement and the sound (Click here for 14 seconds video). Aaah, oooh, aah, oooh. It is all part of our focus on living a long, happy and healthy lifespan. We are becoming friends with the cold.